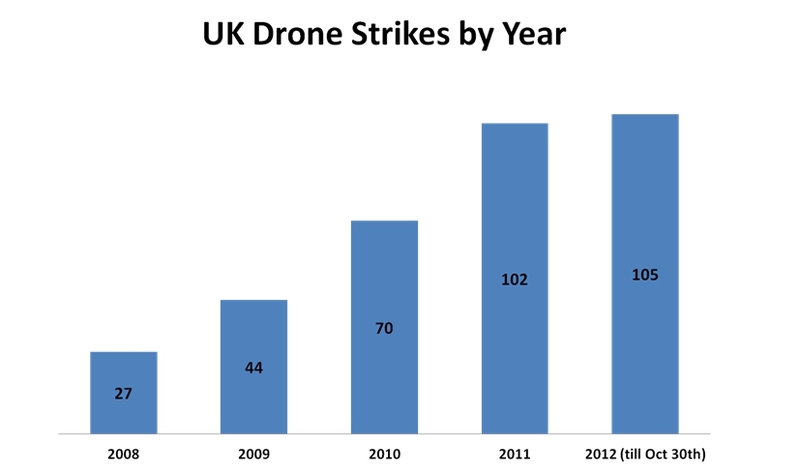 Home › UK Drones - Data › UK drone strike casualty figures: incredible or just not credible? 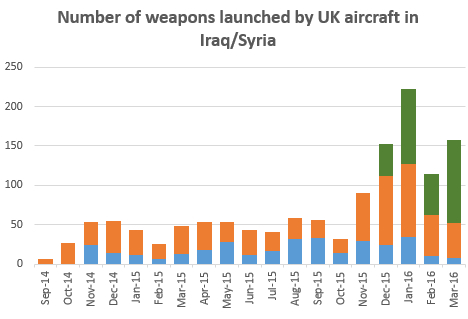 UK drone strike casualty figures: incredible or just not credible? This week we have been updated on some basic figures in relation to British drones in Afghanistan. In the House of Lords, Defence Minister Lord Hever detailed the number of UAVs in service in Afghanistan with British forces. As we have previously reported, the number of Reaper drones is due to double over the next few months as the additional five Reapers ordered in 2010 are due to come into service. In response to a written question from Rehman Chishti MP about numbers of British drones strikes Defence Minister Andrew Robathan gave a figure of 345 strikes up until 22 October broken down as 293 Hellfire missile launches and 52 GBU-12 laser guided bombs. Meanwhile at a presentation at the Royal Society of Medicine (RSM) Wing Commander Gordon Melville gave the latest figure as 348 strikes. 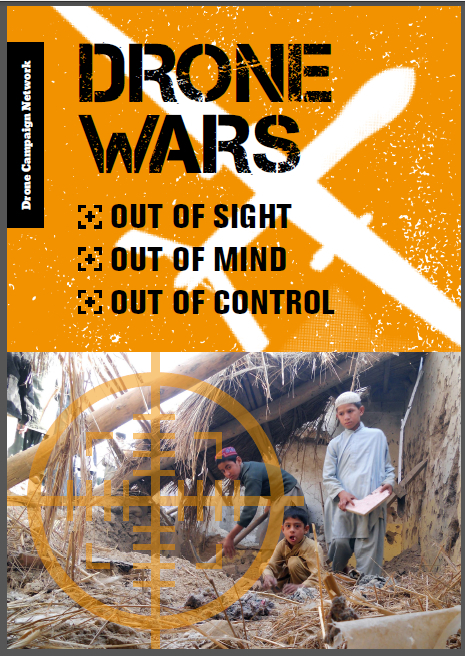 Drone Wars UK has repeatedly asked for further details about these strikes, including location and date; the circumstances leading to the strikes; casualty figures; copies or summaries of post-strike assessments carried out after each weapon launch and the balance between weapons launched under Daily Tasking Orders (i.e. pre-planned) and those carried out under Dynamic Targeting Procedures. All these requests have been refused by the MoD. The number of strikes carried out by British Reaper drones in Afghanistan (currently 348) almost precisely matches the number carried out by the US in Pakistan (currently 350). However we know a great deal more about the impact of US drone strikes in Pakistan than we do about the impact of British drone strikes in Afghanistan. According to The Bureau of Investigative Journalism (TBIJ), between 2,593-3,378 people have been killed in the 350 US drone strikes in Pakistan, of whom between 475-885 were civilians of which 176 were children. By contrast the UK MoD say it is not possible for them to know the number of people killed in its drone strikes. However they also say that out of the 348 drone strikes it has carried out in Afghanistan only 4 civilians have been killed. This is due to the “incredibly discriminatory” nature of drones say the MoD. 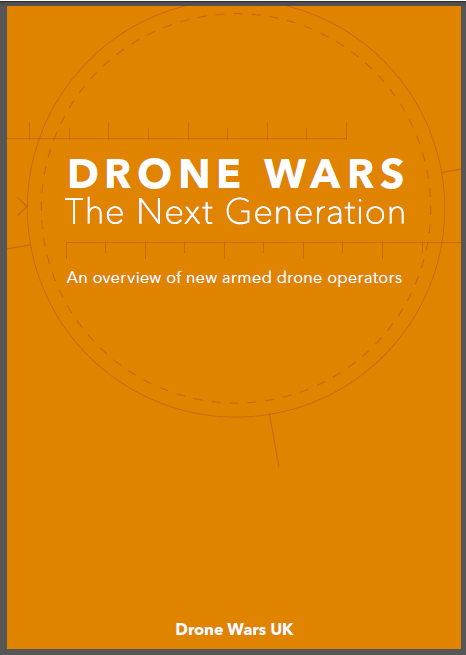 The figures suggest that the UK is 100 – 200 times better at drone warfare than the US. Either that, or the figures are just not credible. Or alternatively, the figures merely illustrate that the Brits are employing their Reapers in a different manner to the US or are utilising more stringent RoE. The UK use theirs primarily as intelligence assets which support the army and may be able to employ weapons where required. US operations appear very different in nature, actively targeting specific terrorist groups. Jaydee. You appear to have inside knowledge – help us believe these figures. If the UK are required to fire 293 Hellfire missiles on intelligence gathering missions then someone has an odd definition of intelligence gathering. Not at all. Just assumptions thru whats been publically admitted regarding where and for whom the drones of various nations operate. Its just that WordPress gives us your IP address – and it says you are using a computer at the NATO Communications and Information Agency…..